Sensor Based Sorting (SBS) has been an accepted part of processing in the diamond industry for a considerable length of time. However, SBS has a much wider applicability to the mining industry, especially in the role of pre-concentration of ores. The economic benefits of this technology are potentially huge both in the downstream reduction of material handling costs as well as in the upgrade of lower-grade deposits. However, the benefits of early stage sorting can go considerably beyond this, with implications for capital costs, mining rates, and tailings disposal, to name a few. It is likely that this technology will become more widely applied to the early stages of mining in the future, especially in an environment where projects have become marginal or even-uneconomic due to a combination of low commodity prices and cost inflation. The presentation looks at the available sorting technologies, and will examine the various parameters that need to be optimised, which will determine the efficiency and economics of sorting for a particular project. 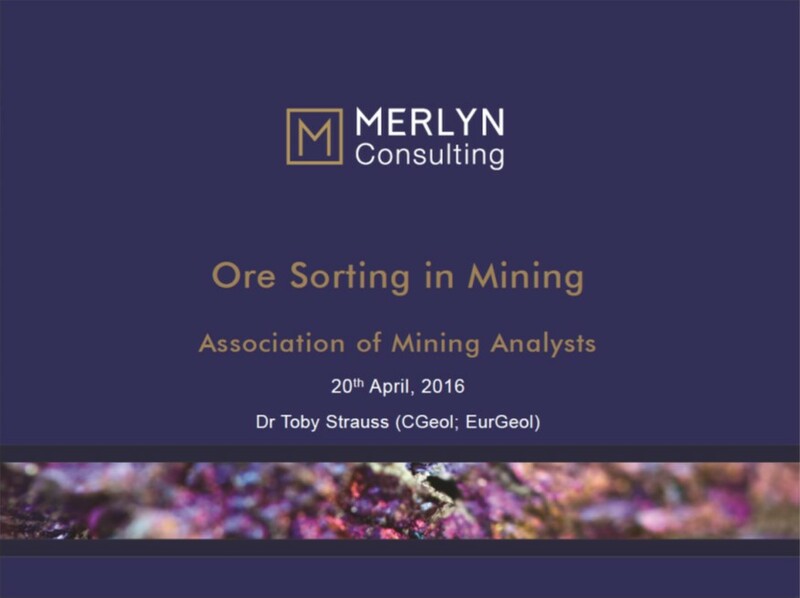 The talk will identify some of the key questions a mining analyst should be asking when faced with a project that is contemplating ore sorting as part of the process route. A download of this fantastic presentation from Dr Toby Straus is available to paid AMA members. Login or subscribe to view.